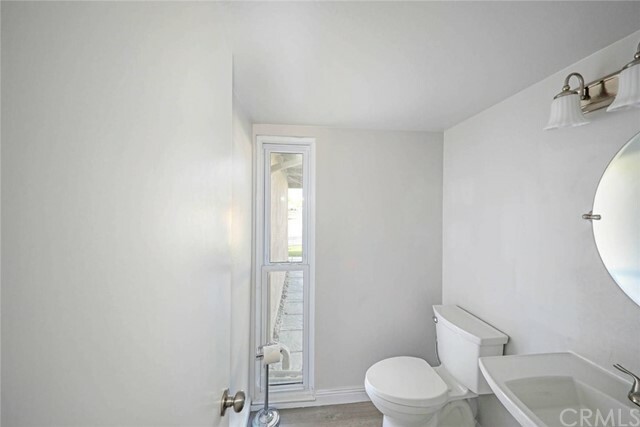 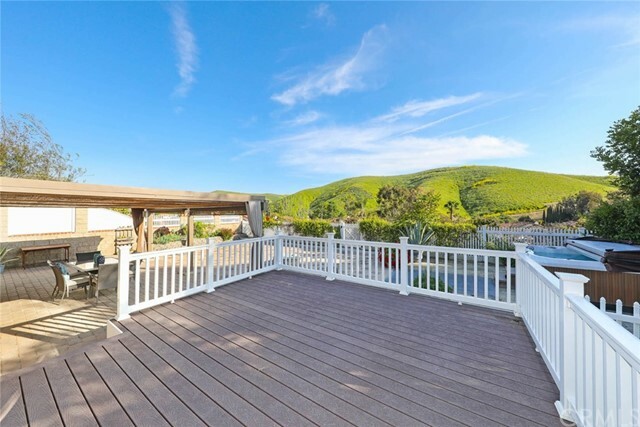 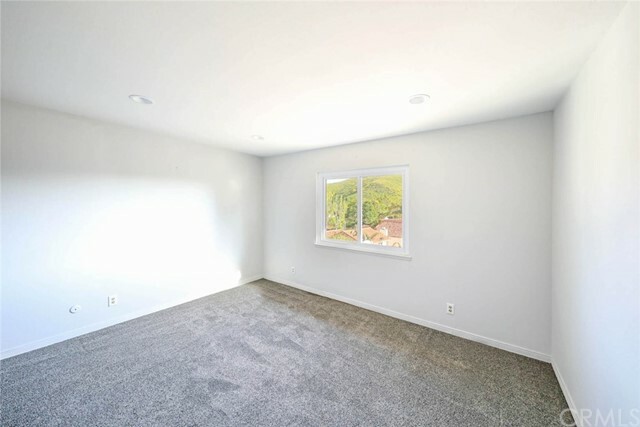 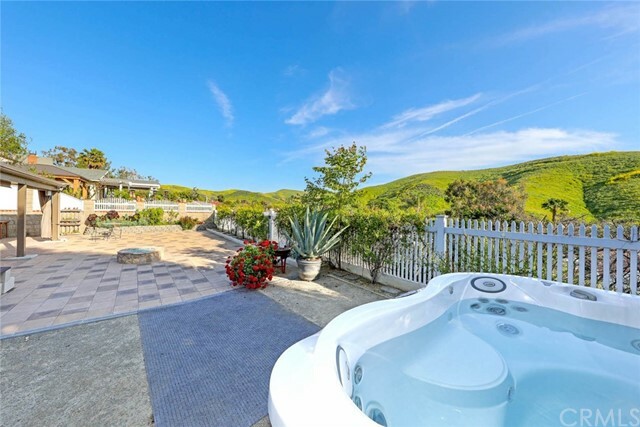 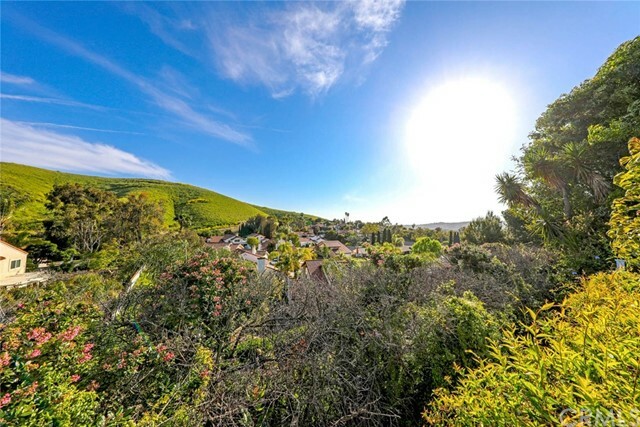 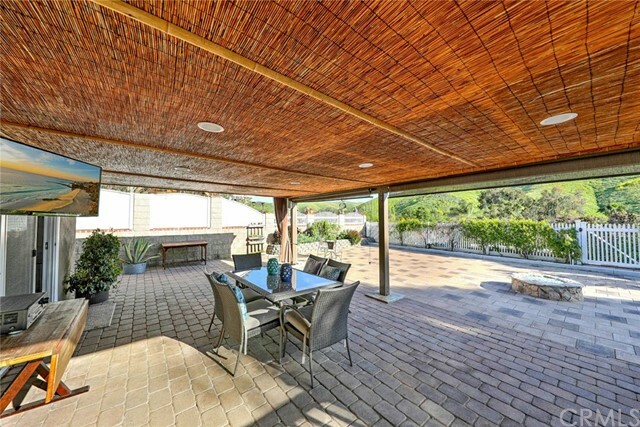 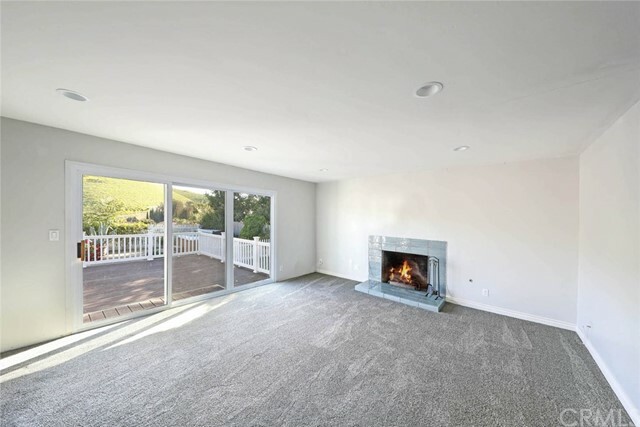 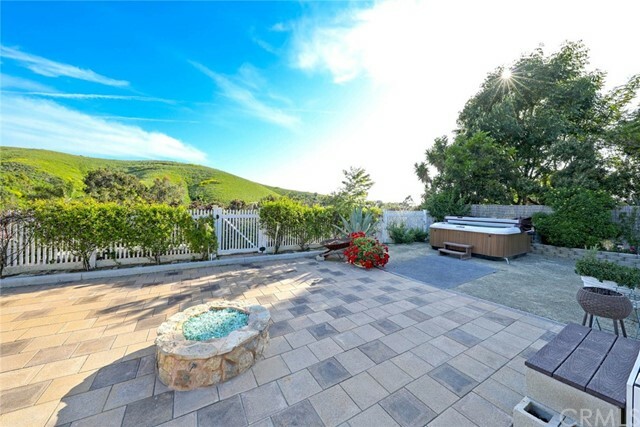 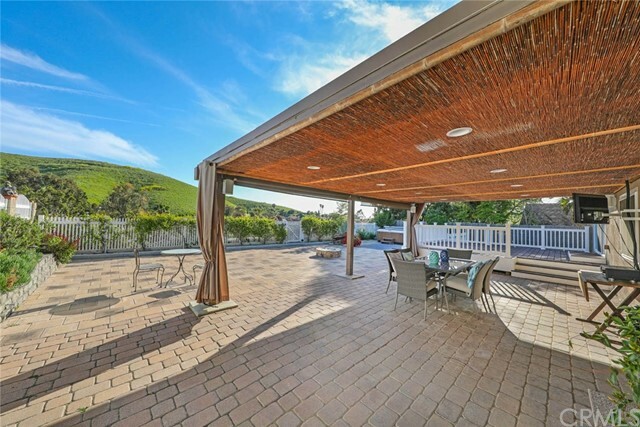 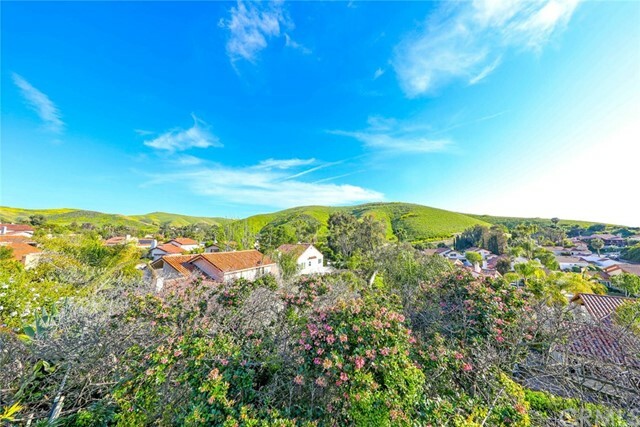 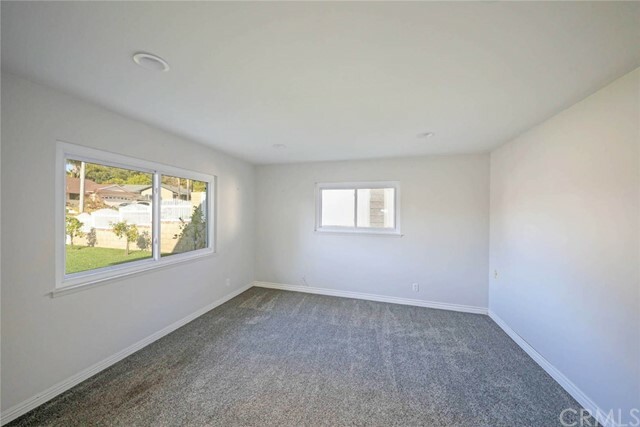 Panoramic views from this 4 bedroom, 2.5 bath upgraded property with 1774 sq. 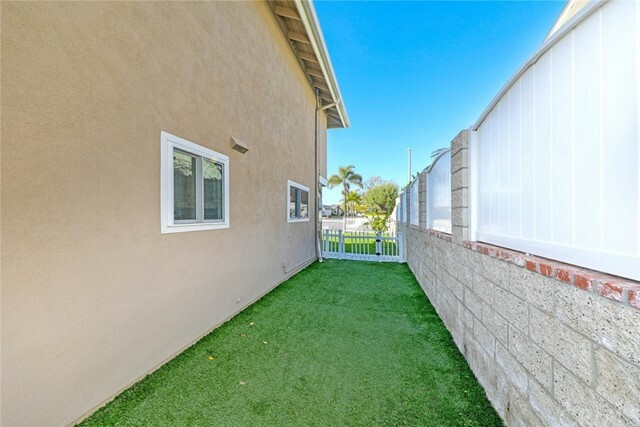 ft. on an oversized lot. 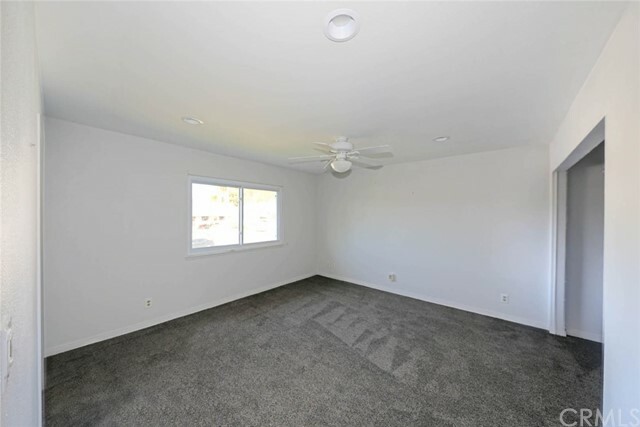 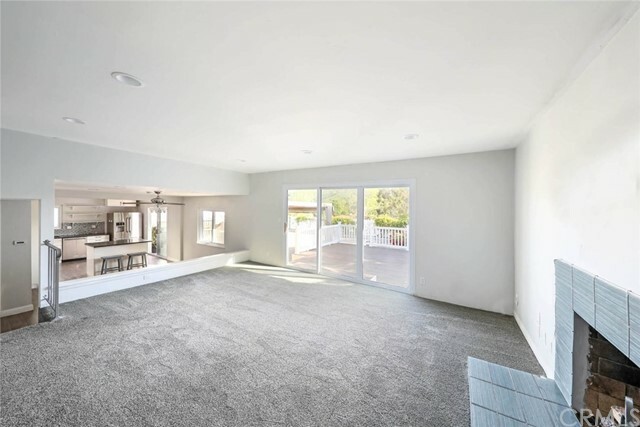 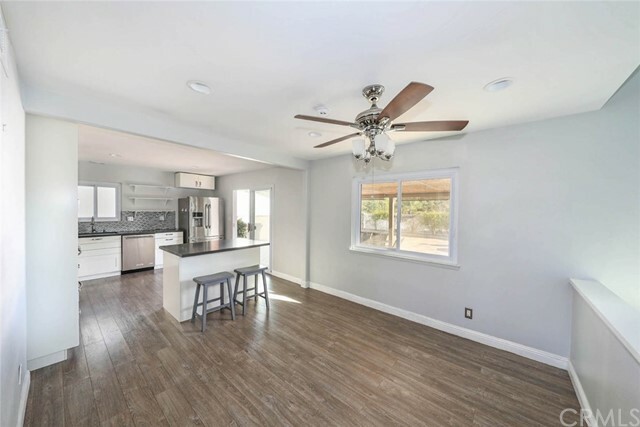 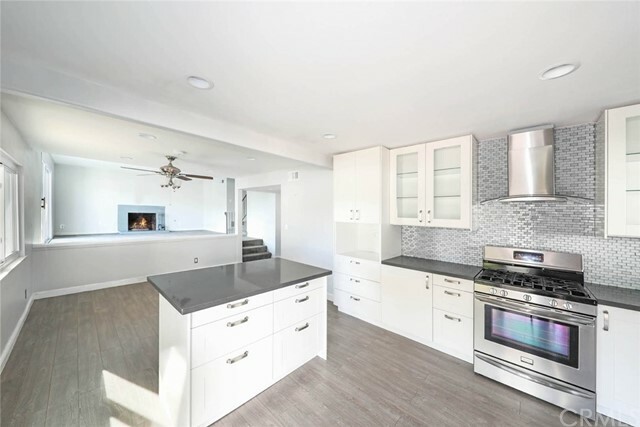 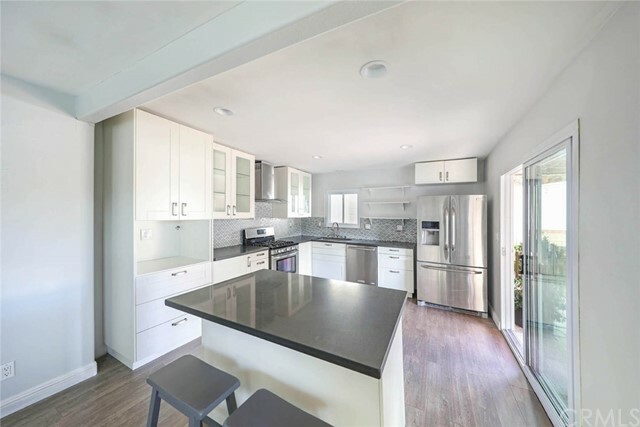 The well maintained home has been recently painted inside and out, featuring newer flooring throughout, a stunning remodeled kitchen with white cabinetry, contemporary hardware, self closing drawers, quartz countertops, glass tiled backsplash, stainless appliances, oversized sink and center island. 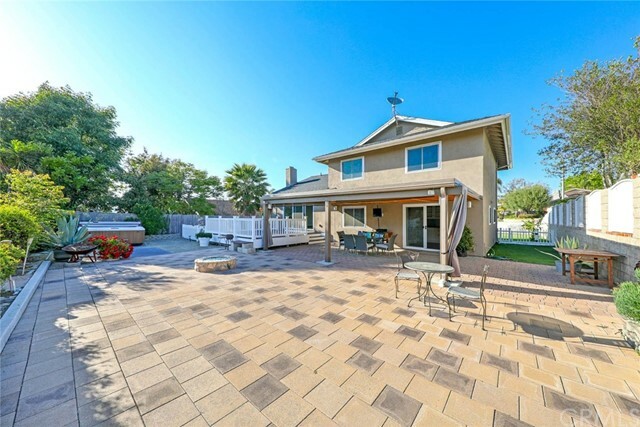 Extending the living space, sliding glass doors from the kitchen and spacious living room lead to a stunning back yard with beautiful views, a spa, glass chip fire pit, covered patio with canvas curtains, sun shades, outdoor TV, raised viewing deck, low maintenance pavers, artificial grass, succulent gardens, fruit trees, cool breezes and vinyl fencing surrounding the perimeter of the property. 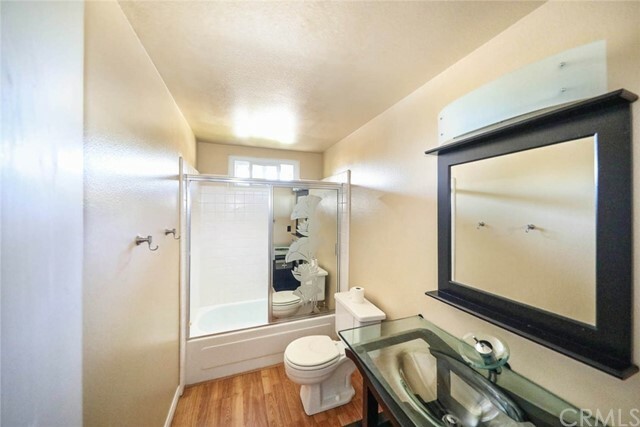 There is a main floor bedroom or office, the raised living room has a gas fireplace with glass tile surround, 3 bedrooms upstairs with a tastefully upgraded hall bath in addition to the generous sized master bedroom with ensuite bathroom, ceiling fans, a two car attached garage with direct access and additional driveway parking. 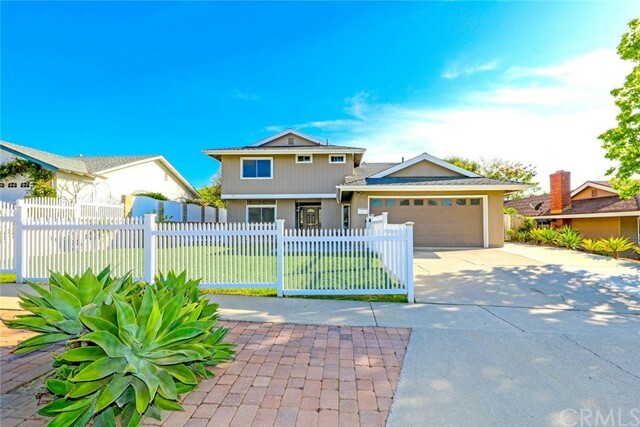 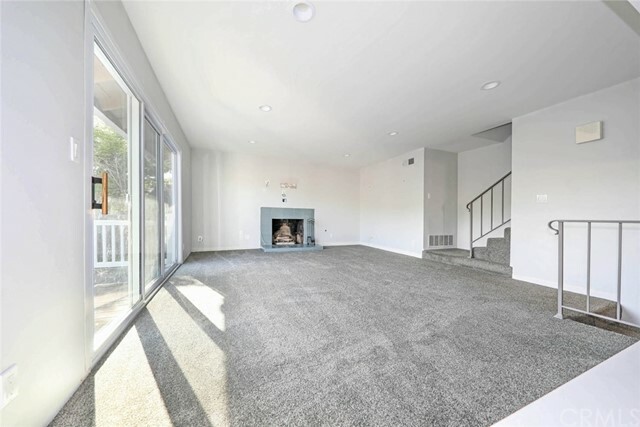 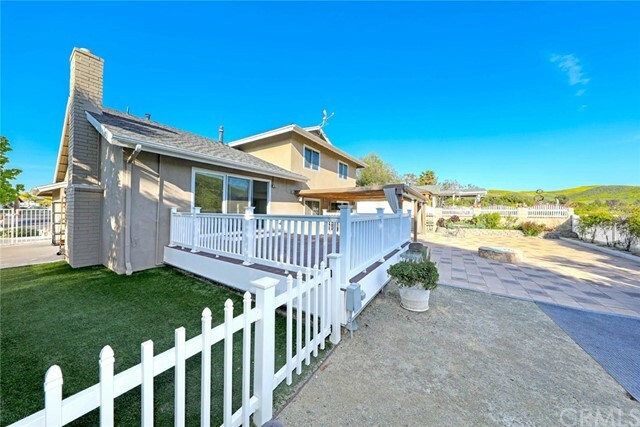 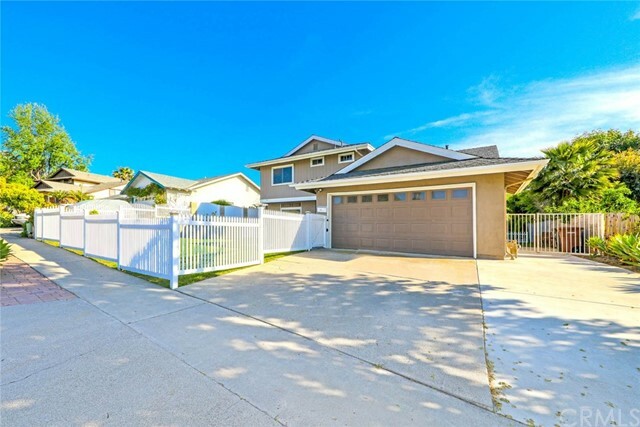 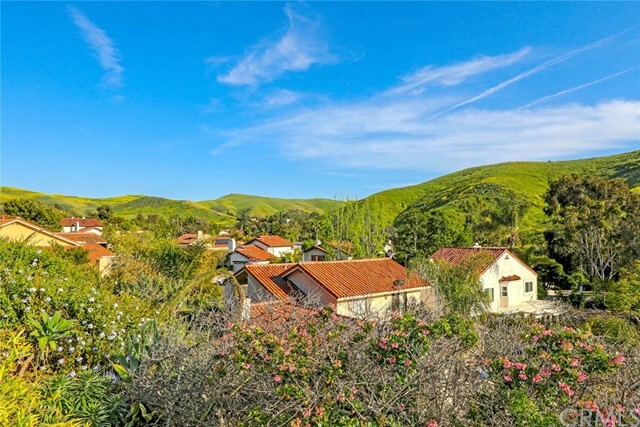 This light and bright home is located near award winning schools, equestrian centers, trails, charming downtown San Juan Capistrano with incredible restaurants & shopping, the historical Mission San Juan, and easy access to the 5 freeway.